For the ultimate growth of any business, it is obvious to have a strong and active online presence. According to a 2016 survey, 94% of marketers agree to the fact that influencer marketing is effective for their businesses’ online reputation. 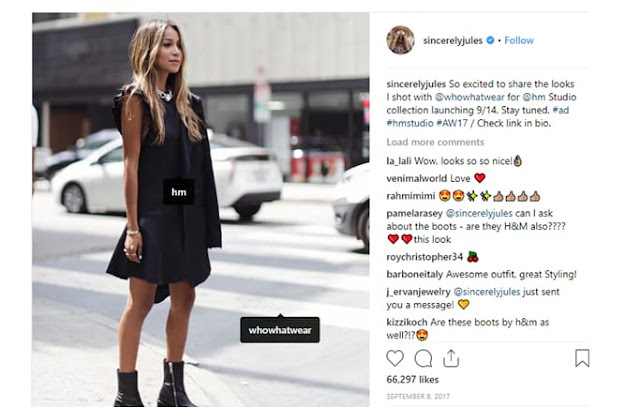 Bridging the gap between the customer’s need and the brand’s reach, influencer marketing has redefined the digital marketing scenario like never before. With a proper strategy, right influencers and a strong message, an influencer marketing campaign can prove to be a huge success! While adopting such campaigns, projecting the brand’s value, authenticity and customer loyalty play a crucial role in the accumulation of the target audience. Hence presenting all these aspects with the best ways possible is essential to lift the online following. Let’s have a look at 7 such distinctive campaigns that re-defined new edge marketing and are inspirations to all the enterprises. Walmart is known for its unique branding and promotional tactics. The corporate house changed the marketing game with its “Feeding America” initiative. In this campaign, the company approached 7 famous influencers on the social networking site ‘Instagram’ to promote their brand. 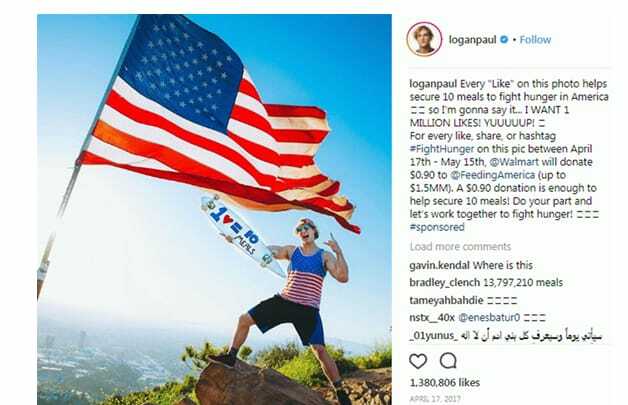 The brand had its promotional strategy on point with every like, share and #FightHunger on selected posts of these influencers, the company ensured to donate $0.90 to the “Feeding America”. It helped the corporate giant in attaining positive feedbacks from people across the globe which skyrocketed its popularity. Today is the era of social media. 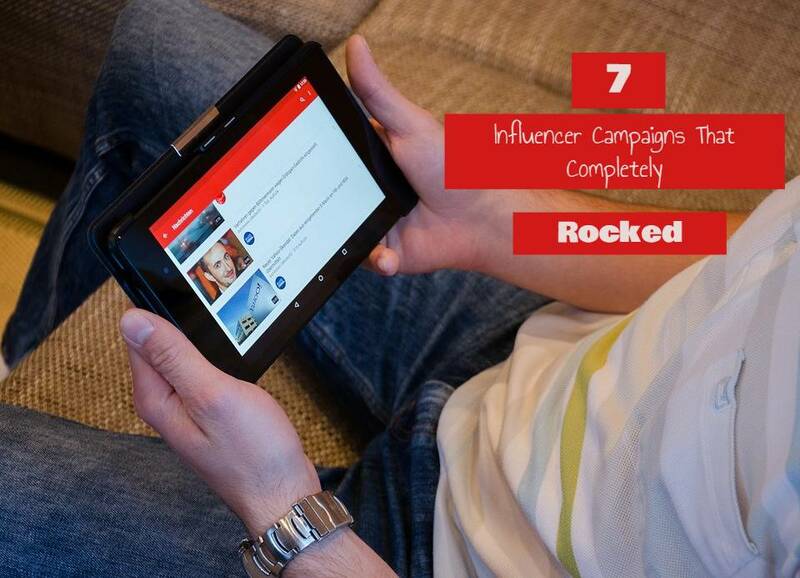 The influencers of this platform have the power to reach to the masses. This reach was beautifully utilised by Walmart to gain the target audience. One magnificent and mind-blowing initiative of this luxury car company left everyone stunned. Being an extraordinary promotional strategy, its creativity and uniqueness impressed the digital world. The luxury brand approached the Instagram heart-throb ‘Loki’, a wolf-dog and Kelly Lund, his owner for a marketing campaign which involved a ‘360-degree video’ featuring the drive of the duo in the snowy mountains of Colorado. The eye-catching feature of this video is that it depicts the journey from Loki’s perspective. With more than 1 million followers & the unmatchable viewing experience of the VR video, ‘Loki’ was able to successfully create a buzz about the campaign. Soon, it broke the internet and this campaign was talked about worldwide. 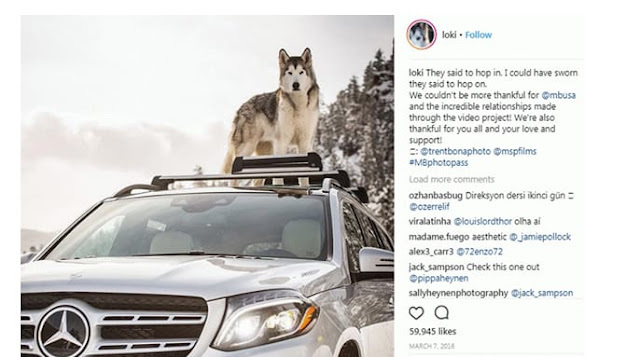 This influencer marketing campaign proved Mercedes is not only an epitome of luxury and desire but also ‘numero uno’ in aesthetics, mindful vision and extraordinary storytelling. By using the power of social media, VR video and an amazing concept, the mega brand made this campaign a huge success! Microsoft is not only a pioneer in software but it also left its mark in the marketing dynamics with its “Make What’s Next” campaign. With a noble vision to inspire young women to take up challenging fields like engineering, science, maths, technology etc., the software giant collaborated with ‘National Geographic’. 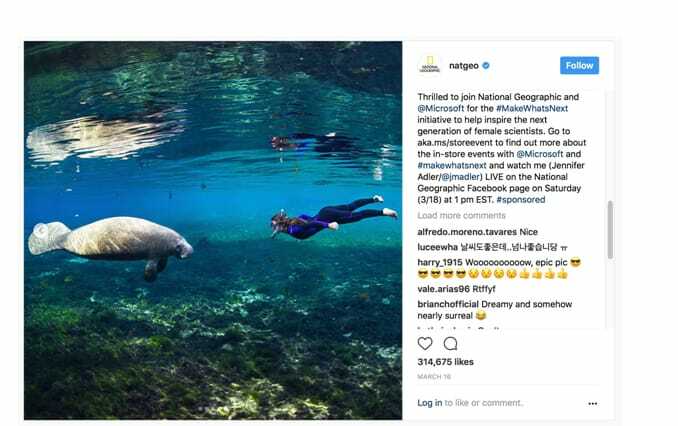 On ‘International Women’s Day’, Microsoft, ‘National Geographic’ and esteemed travel photographers came together and distributed 30 magnificent as well as impactful images. These images were posted through the official account of the ‘National Geographic’ across Instagram. It created a buzz and was embraced by the audience positively. Each photograph was a symbol of courage and passion that featured a woman and her inspirational story. This campaign became popular in just a day and Microsoft achieved its promotional heights with a reach of 91 million people. The impact of a photograph can be huge if used in the right way. Microsoft did exactly that. The photographs conveyed the message of true passion, determination and courage. People could connect to the message and it became an instant hit. Being the largest fashion brand online, H&M also embarked on the journey of influencer marketing with its ‘Fall 2017’ collection. Model Ela Velden and fashion influencer Julie Sariñana collaborated with the Fashion line for its social media marketing. Even though H&M itself has huge followers on all its online platforms, these additional marketing campaigns helped it reach a greater audience. Both the fashion influencers were seemed to post photographs promoting the brand and it indeed made it best in ‘Influencer Marketing (in Fashion category)’. The brand was able to reach double the audience by strategically using the popularity of the fashion influencers in a short span. Also, it gave the customers a relatability with the brand. Overall, with the best of both worlds, the campaign helped H&M reach a humongous audience and popularity. 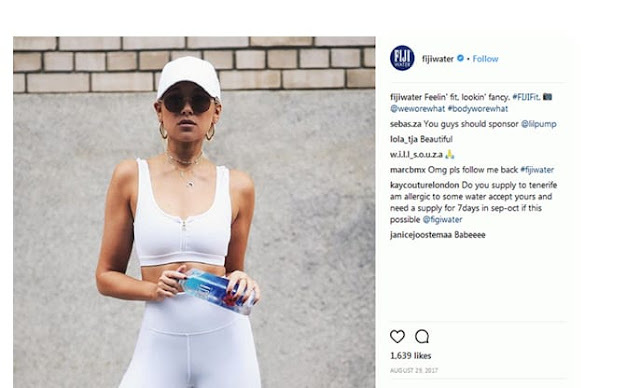 Another inspiring influencer marketing campaign was by the famous drinking water company ‘Fiji Water’. To take it out from the hotels to the masses, the company collaborated with influencer Danielle Bernstein. In association to the same, Danielle brought to her audience a few work-out videos in her blog named ‘We Wore What’. These 8-minute long videos feature Bernstein and Eric Johnson (her personal trainer) promoting Fiji Water as a part of their marketing campaign ‘Bodyworewhat’. The campaign reflected the contribution and commitment of Fiji Water in hydrating every single individual in being fit like Danielle. With the intention of pushing her followers to a fitter life, this campaign also remarkably boosted the company’s growth. What's Behind Blog Posts That Go Viral And Bring Huge No of Backlinks? Being a famous high-end brand, Loeffler Randall is known for its luxury footwear and other accessories. With its increasing online marketing with influencers, bloggers and other fashion enthusiasts, this brand has created its own base in the digital world. 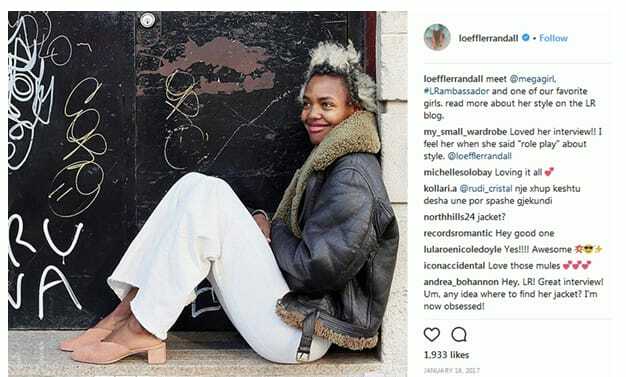 Its influential marketing campaigns come with a slogan of ‘cool girls doing cool things’ which features the brand’s products creatively flaunted by the influencers. Apart from blogs, the distinct marketing campaign of the brand makes sure to use its all social media platforms to reach as many followers as possible. The company’s pictures of influencers wearing their products are quite famous on the social networking site ‘Instagram’ along with “#LRambassador”. Since the online creators associated with the brand come from a diverse range, it helps the campaigns to reach all aspects of audience effectively increasing the brand’s popularity. This campaign is an example of strategic product placing packed with a powerful message. The audience can connect with these short of campaigns more as the message inspires them and the product creates curiosity. Influencer marketing is often misunderstood as a means of promoting only existing products/services of a company. This myth was busted by the well-known beverages brand Jamba Juice. The brand successfully launched its new range of smoothies and was able to bring their products into the limelight with the help of its influencer marketing campaign. Chachi Gonzales, a famous digital influencer and dancer was taken on board as a part of the campaign. The influencer was made to create a beautiful dance video with strategic integration of the juice in it. The video was accepted well and it shareability helped the brand to gain a much larger audience in less time. This campaign is proof that influencer marketing is essential as well as useful for new launches too. With popularisation of digital media, the marketing goals of the companies changed drastically. Now, mere adopting conventional marketing techniques will not suffice the competitive requirements of the market. Strong online participation and increasing investments in infographic outreach etc. can lead to enormous growth that conventional tactics can never bring. Moreover, merging influencer marketing as mentioned above along with strong integration of infographic outreach can drive a greater pool of audience towards the business. It’s high time every corporate draws inspiration from all these innovative marketing strategies and witness their businesses grow beyond limits. So, stop procrastinating and go get 'em!